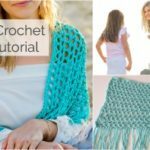 I’ve got a new crochet tutorial for you! This one is fun because it will only take you 20 minutes to complete! And once you get the hang of it, I bet you can do it in 15. This was the yarn I picked out to do a headband tutorial last fall and I never got to it! So I know that I wanted to make one using this yarn, I love the combo with the wood button! Now this is the yarn that I used in the video tutorial. My mom found it at a little local yarn shop in Virginia where she lives that was having a big sale, she picked some up for me and sent it in the mail. I chose this yarn because it’s 100% wool and holds its shape really well. 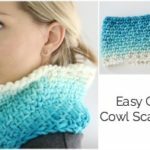 You can do this with any kind of yarn you like, but I recommend a chunky yarn with some wool in it. I decided to make it a button closure to make it adjustable! I also like that you have the option of wearing the button in the front as a style choice. And for the holidays, whether you make these for craft fairs or gifts, you don’t have to worry too much about the size. dc in remaining 2 chains to finish that row. ch2, turn work and dc in first stitch and remaining stitches. (There should be the turning chain and 3 dc stitches in each row). 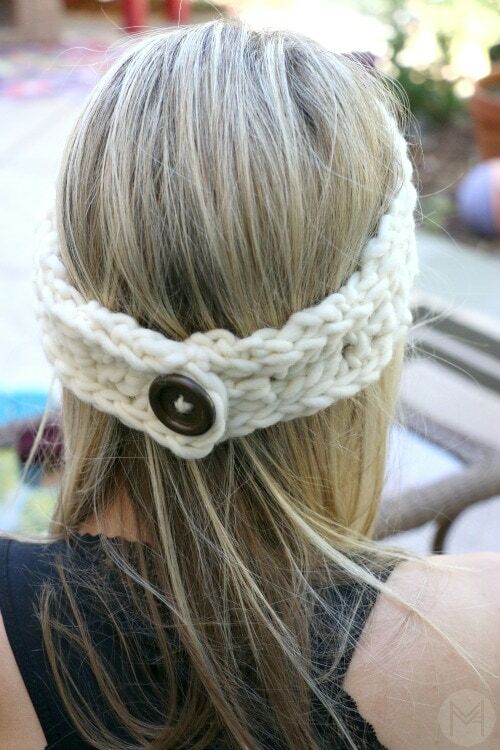 Continue in this manner until the headband reaches 22 inches or desired length. 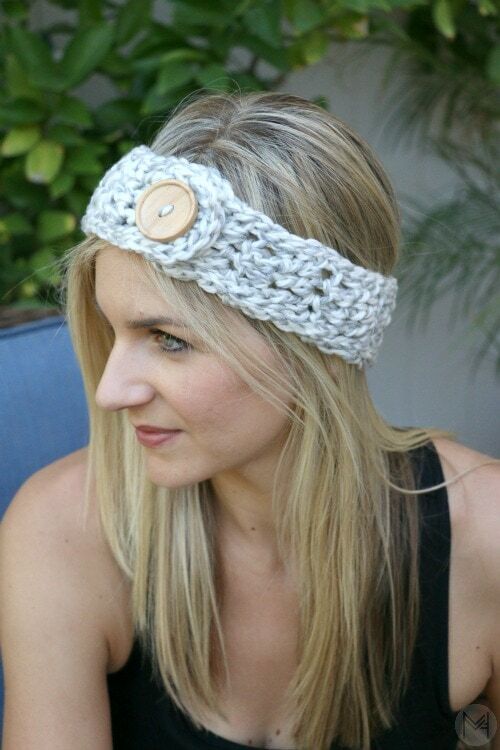 Once your headband is the correct size, begin to slip stitch around the edge of the headband. Place 2 slip stitches in the corners. Once that is complete, finish off leaving a long tail for attaching the button. Sew the button into place and weave in the ends. Leave me a comment and let me know what you think of this project! 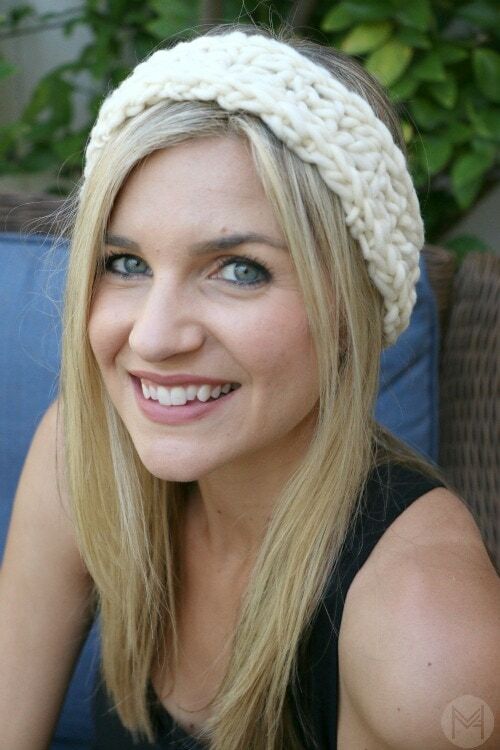 Stay tuned for a great flower tutorial that you can attach to this headband coming out later this weekend! 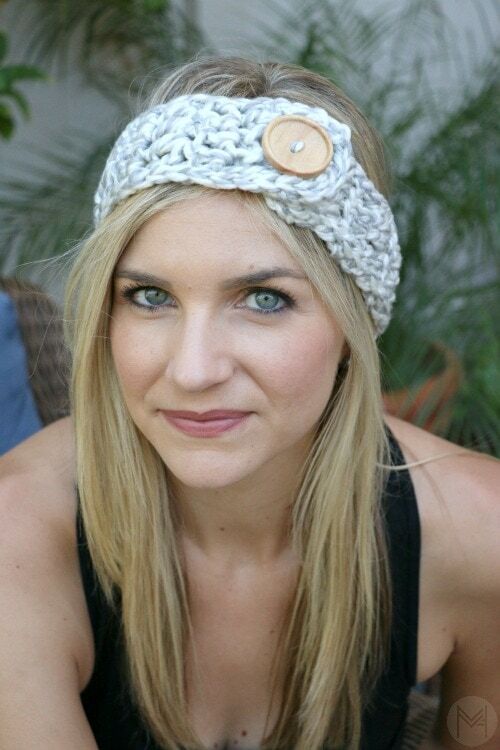 I love this headband and my granddaughters are all getting one in different colors this Christmas. When you say slip stitch around the entire piece, is this a single crochet? I find it looks strange doing the slip stitch around. The single crochet looks much better. Thank you for sharing this pattern. 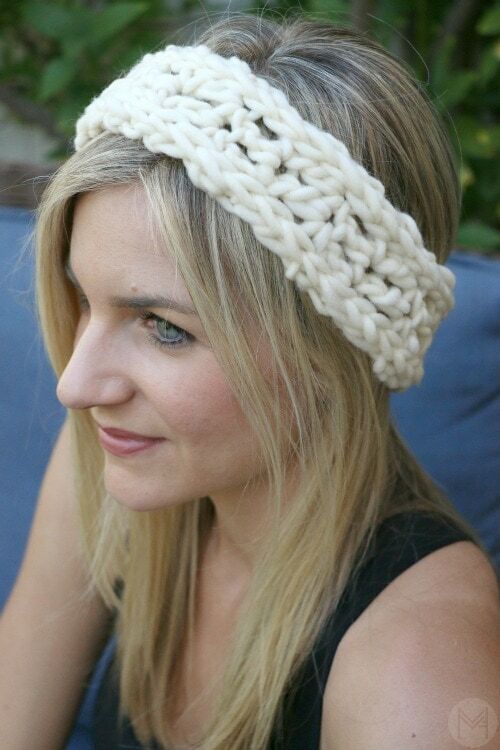 Looking for written instructions for the 20 minute crochet headband. Thanks. Thant you, thank you, another project I can do with my low vision. You’re are a sweetheart. Need more babies to come along ,to make more of the baby blankets. I’ve made five. Adorable! Can’t wait to try it! 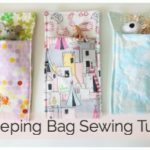 I love all your videos I was wondering if you ever made a scoodie, you are very excellent teacher. 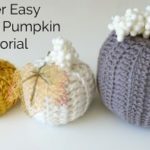 Thanks for the tutorial, it looks easy, can’t wait to have a go.